Every work day in the medical practice is subject to rough spots in patient flow. Some days go smoothly, while others find patients waiting excessively to see the provider. Is the issue a matter of patient scheduling, or is it lack of support for the clinical staff? What are the pitfalls that a practice may face in delays in access? What is the secret to managing patient flow? This article presents ways to apply some basic business concepts to improve clinical workflow through a critical analysis of obstacles in moving patients smoothly through their office visit. It also uses some aspects of best practices in physician practices to ensure timely patient access to enhance patient satisfaction. Separating the flow into two channels – scheduled patients and non-emergent/urgent patients. Measuring the demand for each channel and then matching demand with resources to minimize wait times and enhance patient satisfaction. The need for two channels of scheduling in the ambulatory setting mostly depends on the practice specialty and philosophy. As appropriate, practices can opt for specialized appointments or open-access scheduling models to accommodate their patient base. The open model lets patients schedule non-emergency appointments on the same day, as opposed to days in advance. With traditional scheduling, some same-day slots may be held open for emergencies. Otherwise, the urgent visits are double-booked or worked in or cause the doctor and staff to work overtime. Immediate engagement and exploration of need at the time of inquiry.Every patient or family request for care should be engaged upon inquiry, with a query concerning what the problem is and what might be helpful in the moment. The inquiry may result in setting a goal of same-day appointments in primary care, in specialty care clinics in 10 days or less, or in practices that seek alternatives to in-person visits to meet immediate, non-emergent needs. Patient preference on timing and nature of care invited at inquiry.Patients should be encouraged to express their preferences on the timing of the care interaction. The focus on meeting patient need should drive systems strategies aimed at improving health care, and systems-based approaches to improving health care scheduling, and access should be aimed to improve the patient experience and meeting patients’ needs, as defined by the patients. Need-tailored care with reliable, acceptable alternatives to clinician visit.The options for same-day response should include various proven methods for meeting patients’ needs or concerns. These tailored methods for providing immediate engagement may incorporate evolving technologies in healthcare for the scheduling and delivery of care, including providing various options for in-person visits with physicians such as phone calls, e-mails, teleconferences, tele health, e-prescribing, and other forms of e-consults. Other methods may use non-physician clinicians such as nurses and clinical pharmacists in new capacities. Surge contingencies in place to ensure timely accommodation of needs.Every practice setting should have contingency provisions for accommodating patients’ acute clinical problems or questions that cannot be addressed promptly. As discussed in the examples above, technology-based alternatives to in-person visits (e.g., phone calls and video conferences) to treat urgent but not emergency medical issues after regular office hours have been shown not only to meet patients’ immediate concerns but also to allow consultant physicians to ensure the continuity of care. 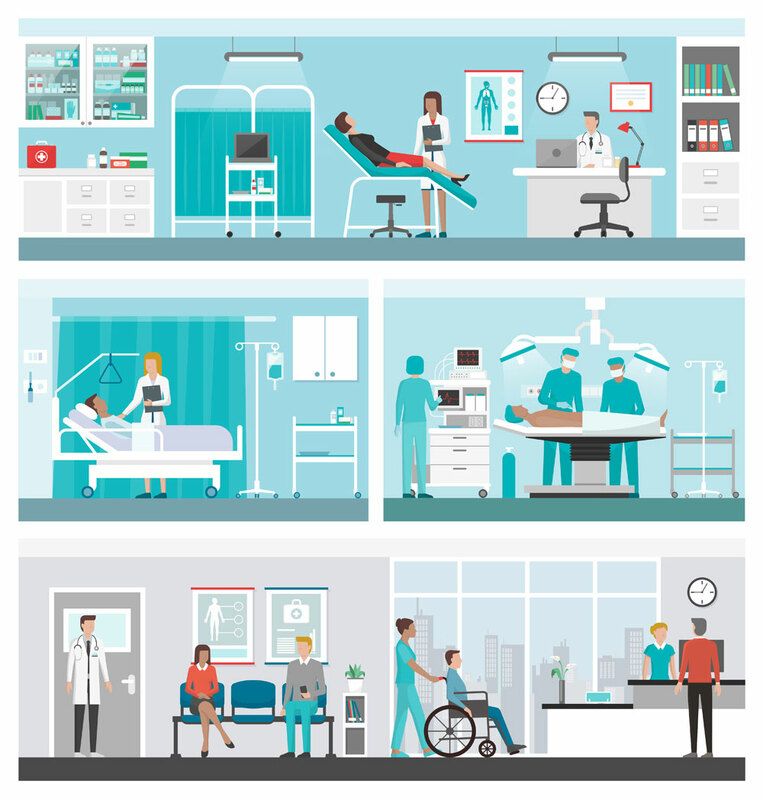 Continuous assessment of changing circumstances in each care setting.Patient access metrics—including data on patient and family experience and satisfaction, scheduling practices, patterns, and wait times, cycle times, provision and performance experience for alternative care models, and effective care continuity—should be collected, evaluated, and reported for each practice and clinic. The data collected within each health care organization can serve as tools for evaluating daily activity and monitoring appointments over a specified period or data can be used to design and test various scheduling models. Using basic business concepts of gathering and measuring data can improve the efficiency and profitability of the medical practice. Moreover, patients are more satisfied with your practice when access is easy and obstacle free. Go one step further in your data gathering by tracking your schedule daily as well as monthly. By reviewing your day-to-day and monthly data, you will be able to determine your peaks and valleys and to make strategic decisions regarding expanding or decreasing capacity. Your practice management or electronic health record system should be able to produce daily and monthly reports of your appointment scheduling for your analyses. Most practices have room for improvement, however, and the numbers can verify the need to make some significant changes. Practices that need to expand can grow in three ways, depending on their circumstances. The options are to increase capacity by adding office space, adding a provider, or by adding appointment slots. So take a look at when (days, hours, etc.) the current providers are too busy. When do patients have to wait for exam rooms to open up? When is access to appointments difficult to attain? The goal is to maximize the number of patient visits during practice hours while maintaining the quality of care, patient satisfaction, and patient access. Some practices show a need to reduce excess capacity to increase practice efficiency and profitability. When the fill rate numbers indicate that the providers aren’t busy enough, it may be time to reduce staff, or in some cases, the number of providers. On the other hand, the better choice may be to adjust provider and staff work schedules to match supply and demand. Practices will encounter many challenges in providing timely access to patients and in offering a smooth workflow process. There are many obstacles in the way; some will come and go. The important part is to watch the numbers and modify the approach through assessment and the matching of supply and demand. “4 Building from Best Practices.” Institute of Medicine. 2015. Transforming Health Care Scheduling and Access: Getting to Now. Washington, DC: The National Academies Press. doi: 10.17226/20220. Available at https://www.nap.edu/read/20220/chapter/6. Accessed March 7, 2017. Buttz, Lee. “How to Use Scheduling Data to Improve Efficiency.” Fam Pract Manag. 2004 Jul-Aug;11(7):27-23. Available at http://www.aafp.org/fpm/2004/0700/p27.html. Accessed March 7, 2017.